Garlic is one of the world's favorite foods. 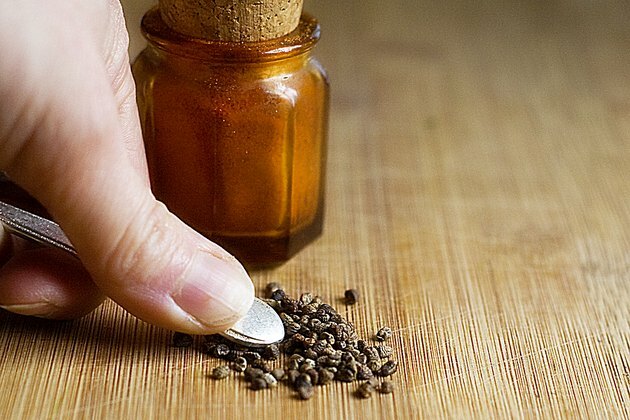 It can be found in almost every major cuisine, lending its signature pungent flavor and aroma. However, appreciating garlic too exuberantly can have implications for your social life. With its wealth of aromatic sulfur compounds, the smell of garlic -- especially raw garlic -- can linger on your breath and in your pores for several hours after you've eaten. 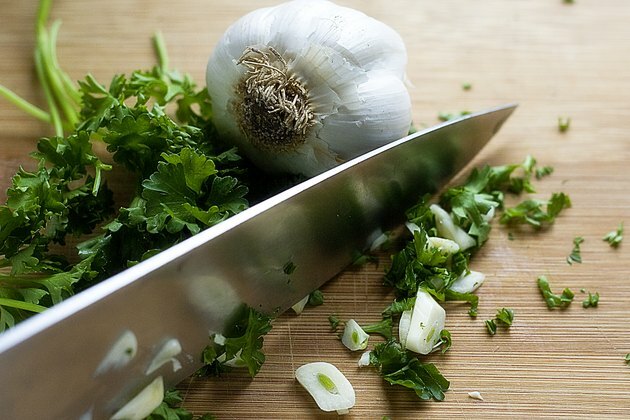 You can't avoid it completely without avoiding garlic, but you can take a few steps to minimize the effect. Select fresh, plump garlic that's heavy for its size. 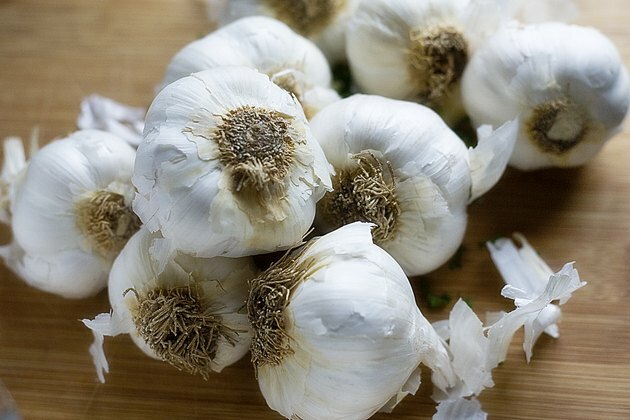 The freshest, juiciest garlic is also the mildest, and will have less effect on your breath. 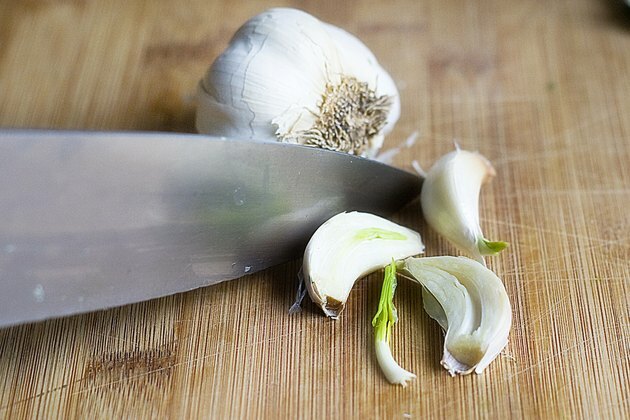 Slice the garlic cloves in half lengthwise with a paring knife. Remove any fine green shoots that may be starting to sprout, since their flavor and aroma are particularly harsh and penetrating. Rinse the minced garlic under cold running water, to wash away a portion of the sulfur compounds that give it its aroma. Mince a handful of fresh parsley with the garlic. The chlorophyll will help reduce the garlic's impact. 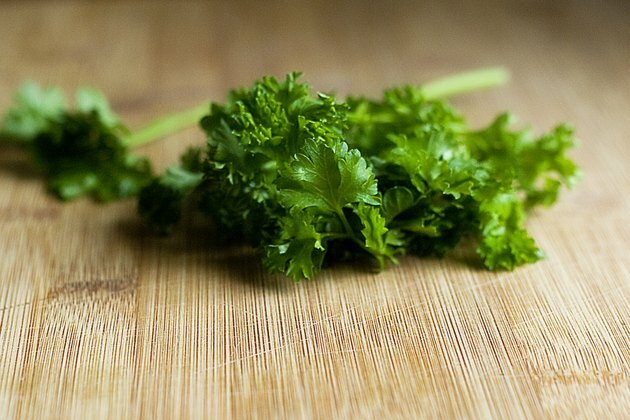 Chew a healthy-sized sprig or two of parsley after eating the garlic. As with parsley added during preparation, it will help minimize the garlic smell. 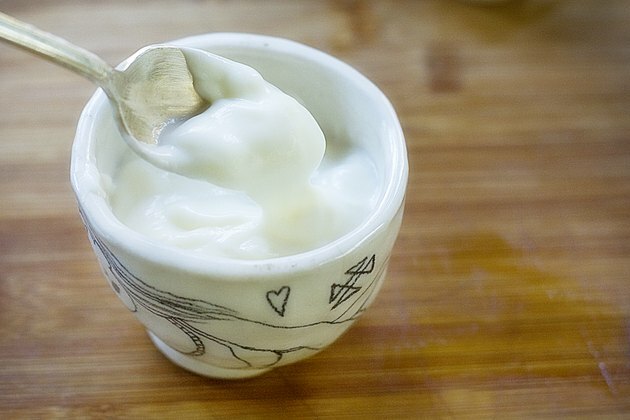 Eat a small bowl of plain yogurt, or drink a glass of milk. Both cause a discernible reduction in garlic breath. Whole milk products are more effective than low-fat or skim milk products, according to a study in the August 17, 2010 issue of "Journal of Food Science." 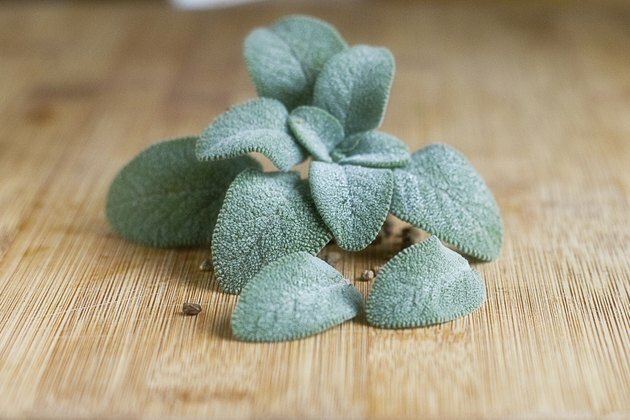 Rub your teeth vigorously with one or two large leaves of fresh sage. This is a common Italian breath freshener. Crack a fresh cardamom pod and chew the seeds, or keep them in your cheek. Cardamom is another potent breath freshener that will minimize the garlic smell. 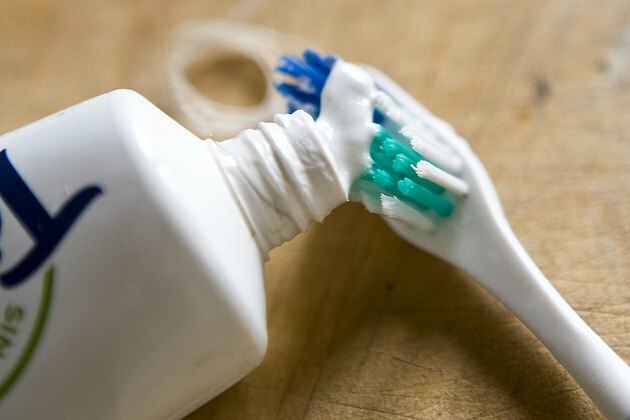 Brush and floss your teeth after the meal and rinse with mouthwash. 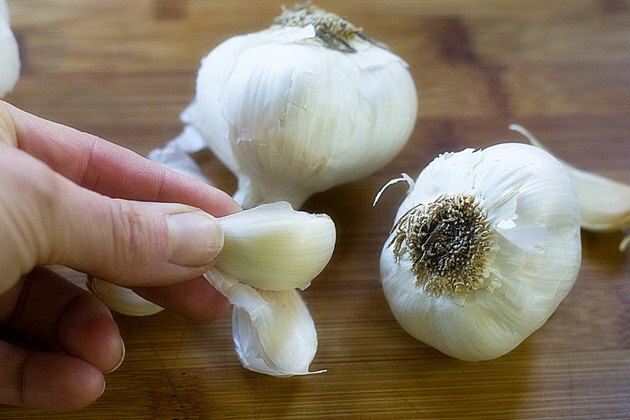 This will remove any fine pieces of garlic that remain, and will also help cover up the smell. If you eat the garlic for health reasons, consider keeping a bottle of garlic capsules on hand. On days when you want your breath to be suitable for mixed company, swallow a capsule instead of eating real garlic. According to the National Institutes of Health, garlic is shown effective for preventing and treating high blood pressure and certain types of cancer. Garlic capsules are not odor free, they just don't affect your breath like fresh garlic. The odor of capsules may release through the pores of your skin. Be aware that choosing high fat milk to go with garlic will up your daily fat intake, which may increase your risk of high cholesterol and obesity. The American Heart Association recommends using 1-percent, low-fat or non-fat dairy products. Do Garlic Supplements Make You Smell?